CAROL CLEMANS – Life Enrichment Ministries » You are God’s Special Treasure! You are God’s Special Treasure! Are you battling with the feeling that somehow you do not measure up to someone’s expectations? People from the platform to the pew can be haunted by feelings of low self-worth based on what they think other people think or their own self-judgment. The devil’s delight is to flood one’s heart with toxic thoughts of being inferior to others! Will you allow me to challenge you to be transformed by renewing your mind with God’s truth? God does not look at us through eyes of competition or comparison. God’s truth says we are His royal priesthood, His Holy nation and His peculiar people (1 Pet. 2:9). The definition of peculiar people is God’s Special Treasure! God uniquely creates all of us after His image and likeness for His purpose. Our worth and value do not come from our performance at any level. God is our Creator (Psalm 139). He loved us so much that He came to earth in flesh to die on a cross to become our Savior. We have worth and value because of God’s performance as Creator and Savior, not our performance. After we accept His Gift of salvation, He wants us to be a living sacrifice in our body through our attitudes, words and actions that are our reasonable worship (holy/set apart) unto Him (Romans 12:1 AMP). Whatever we do, we are to do it heartily as unto the Lord (Cols. 3). We are to glorify God in our body and spirit which belong to God (1 Cor. 6:19-20). Refuse to compare yourself to others because God says it is foolish! When you do your best as unto the Lord, no one can do better because God does not compare or want us to be in competition. Why allow another human being to intimidate you? We all will be judged by God not man – Praise the Lord! Become so God-absorbed (absorb = take in and soak up) that you do what you do for His glory! You are God’s Special Treasure! © Carol Clemans – As a Bible Teacher/Pastoral Counselor/Christian Life Coach, I love to share God’s truths for spiritual, emotional and relational growth nationwide for church/conferences and individuals. 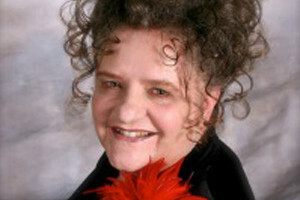 www.carolclemans.org – read ‘counsel info’ page for details. 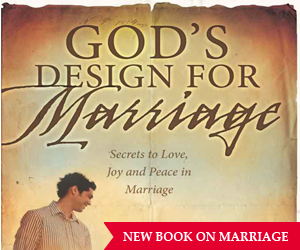 Order: God’s Design for Marriage. Mins. Ref: Pastor Daniel Batchelor, Dupo, IL. 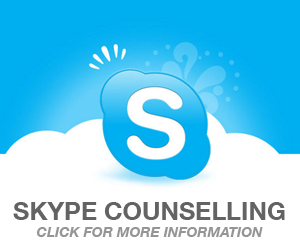 Call for counseling (636) 448-0121.